The history of the field watch goes back many years, with the traditional purpose for battle. Although they have evolved in style over time, field watches will always remain rugged and reliable. 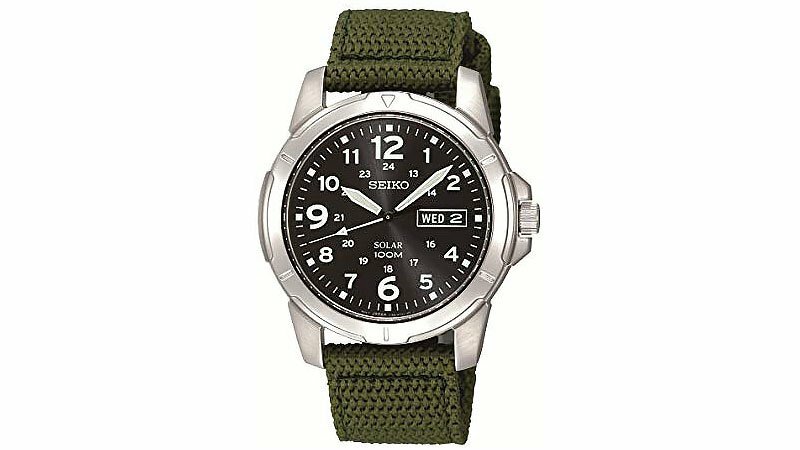 Typically, a good field watch has a stainless steel case, canvas or leather band and quality movement. It must be easy to read with glare-proof crystal, a high contrast dial, luminous hands and large numerals. Above all, the field watch is built to withstand tough conditions. Incorporating modern design and new features, the field watch today takes many forms. From rough to military-inspired timepieces, we’ve rounded up the best field watches to suit any man’s style. 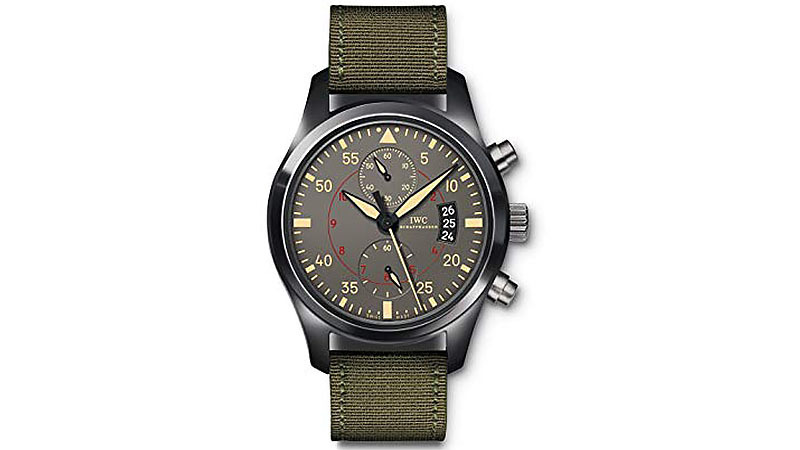 The IWC Pilot’s Chronograph Field Watch is a beautiful timepiece, reminiscent of previous military watches. It features an anthracite dial with luminescent hands and hour markers, a green calfskin strap, sapphire dial window and buckle. By pairing scratch-resistant sapphire crystal with a black ceramic titanium case, this timepiece is as stylish as it is protected. It also harnesses a Swiss-made automatic movement and features a flyback function. 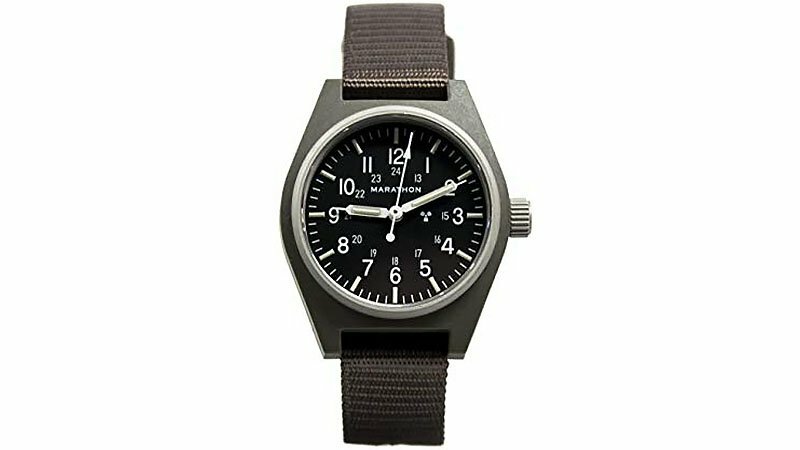 The ultimate companion for the rugged and edgy man, the Hamilton Khaki Field watch is designed for the adventurous, active wearer. This timepiece pairs a black dial with a black calfskin band, and features luminous hands, Arabic indices, and a date window. A 38 mm stainless steel case with scratch-resistant sapphire crystal promises protection and style. With Swiss self-winding automatic movement and water resistance up to 100m, this watch is suitable for swimming and snorkelling. Luxury meets glamour with the Tudor Heritage Ranger Field Watch. This timepiece pairs a stainless steel case with a satin finish and a light brown bund leather strap. Scratch-resistant domed sapphire crystal and a fixed stainless steel bezel come together with water resistance to 150m for strength in style. The watch harnesses self-winding mechanical movement and features a black dial with luminous hands, index hour markers and Arabic numerals. It also possesses a power reserve of approximately 38 hours. Durability meets style with the Seiko 5 Automatic Field Watch. With water resistance up to 30m and scratch resistant Hardlex crystal, it is designed to survive. This timepiece is perfect for those who seek style in the every day, pairing a stainless steel case and black dial with a black canvas bracelet. In addition to these durable features, it has luminous hands and Arabic numeral markers, with approximately 40 hours of power reserve. 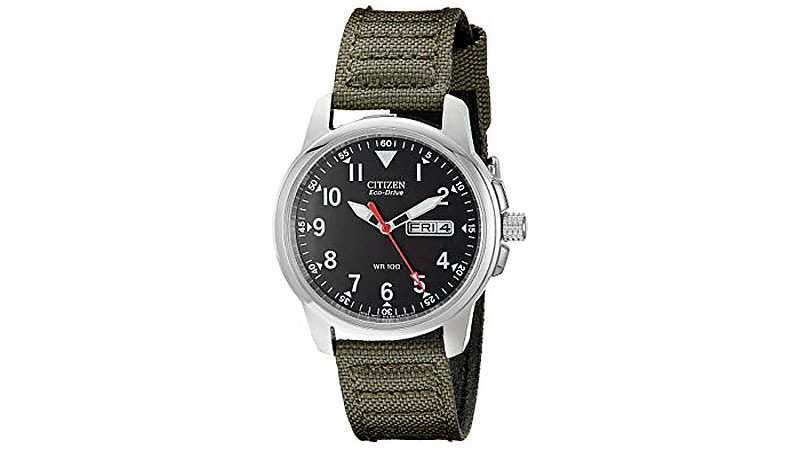 The Timex Expedition Scout Field Watch is the perfect accessory for the outdoors man seeking casual style. Pairing a slip-through 20mm strap and Indiglo light-up dial with a mineral glass window and luminant hands, this no-fuss field watch is sure to please. As well as telling time, this beautifully crafted watch comes in many different colours, is water resistant up to 50m and features an easy-set QuickDate function. 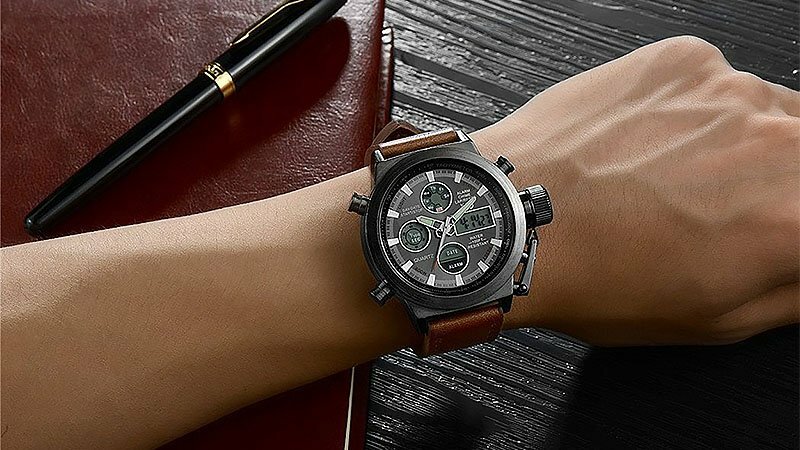 For a rugged look with a comfortable fit, the military-inspired Citizen Eco-Drive Field Watch is the way to go. A round black dial and mineral crystal window come together with a buckle closure to create this classic stainless steel timepiece. Harnessing a Japanese Quartz Movement, the watch is water resistant up to 100m and charges in both natural and indoor light. The Luminox Atacama Field Day Watch boasts a relaxed sense of style. 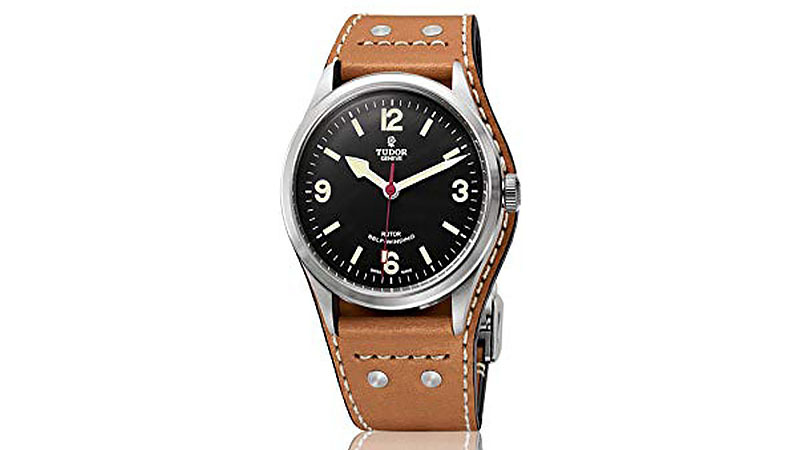 This timepiece pairs a brown leather strap with a 45mm stainless steel black brushed case and features a sapphire crystal anti-reflective coating. Built for endurance, the watch harnesses a Japanese Quartz movement and is water resistant up to 200m. It is also suitable for day and night wear, with self-powered illumination for up to 25 years. Durability meets tradition with the polished Jack Mason Field Automatic Watch. 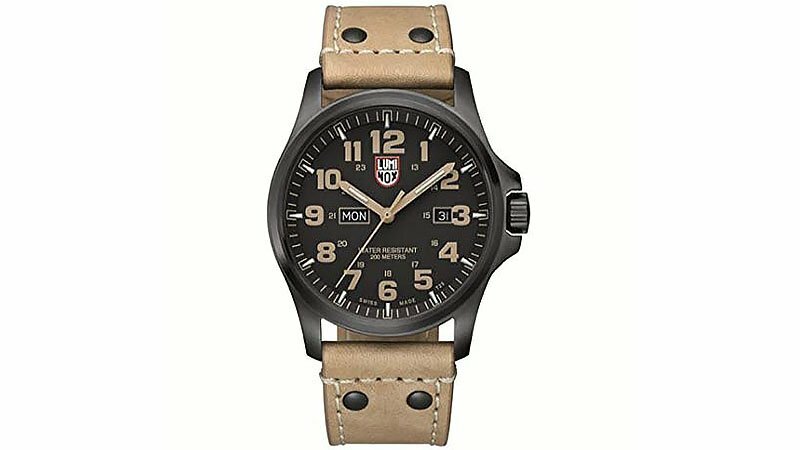 A gunmetal case and grey dial come together with a tan leather interchangeable strap for the ultimate army-style look. The watch combines practical design and functionality with a sapphire crystal case and exhibition case back. This timepiece features an easy-to-read dial with applied indices and SuperLuminova markings, offering heightened visibility in low lighting. 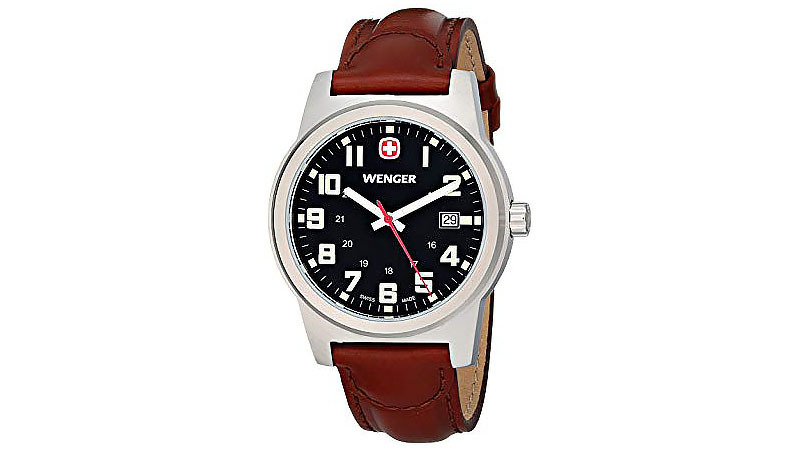 The rugged Wenger Analog Swiss Quartz Field Watch offers a classic, multi-functional design. 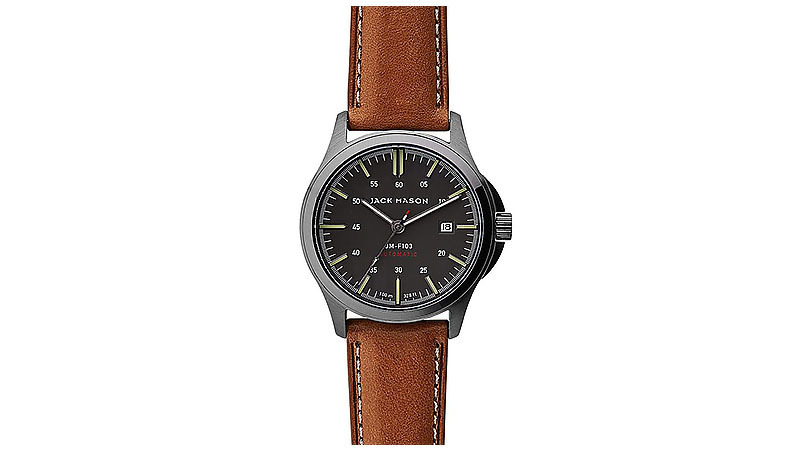 A brown leather calfskin strap and stainless steel case come together with a box-with-tongue clasp. With luminous hands and markers, a scratch-resistant mineral crystal and a magnified date display, this watch boasts quality and precision. It is also water resistant to 100m and has a Swiss Quartz movement. 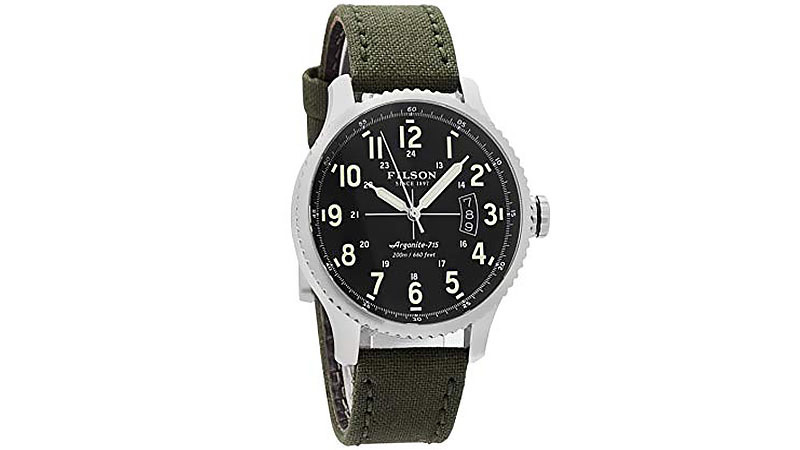 Complete your look with the timeless, cool build of the Filson Mackinaw Field Watch. Ideal for everyday wear, this timepiece pairs a stainless steel case back with an American-built canvas strap and brass PVD plating. 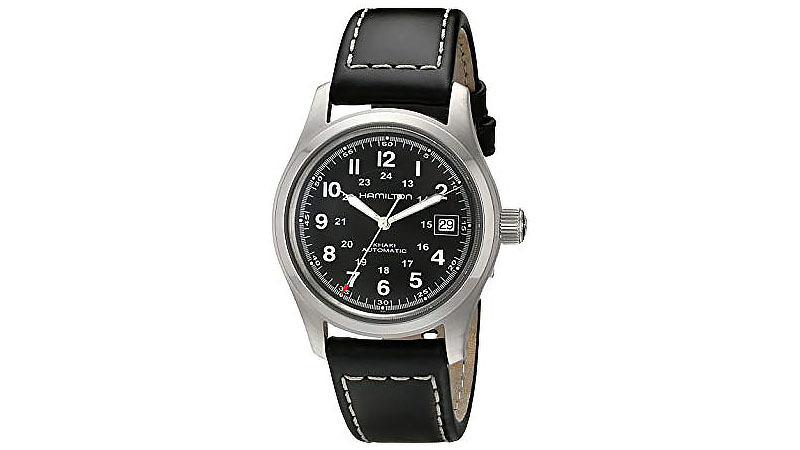 Features include Swiss Quartz movement, a four-piece, bolt-reinforced roller buckle style closure, a black dial with Swiss LumiNova hands and Arabic numbers. With curved, scratch-resistant sapphire crystal featuring an anti-reflective coating that helps reduce glare, this watch will continue to operate smoothly in bright lighting. 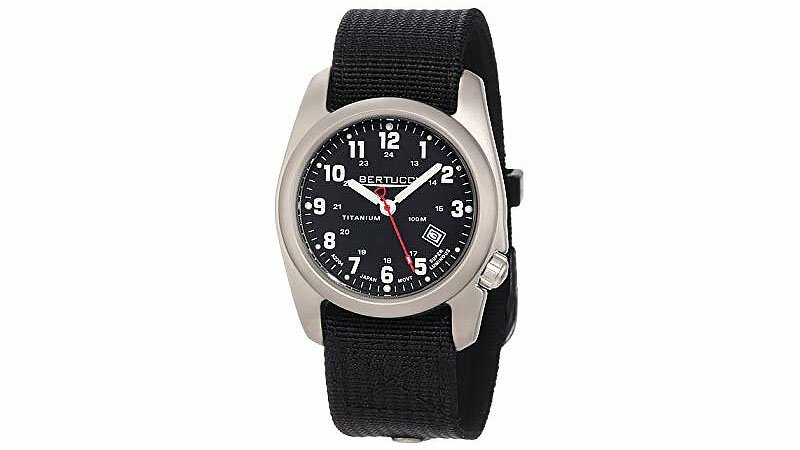 For the man who loves a sporty look with a classic, polished finish, the Bertucci Titanium Field Watch is the ultimate accessory for the outdoors. White sword hands with luminous accents and red sweep seconds come together with applied white Arabic numbers and a rugged screw down case back. The sandblasted matte finish solid titanium case ensures extreme strength and lightweight comfort. Scratch resistant hardened mineral glass crystal and a heavy-duty two-ply black nylon strap offer unmatched longevity and style. This timepiece also features Japanese quartz movement and is water resistant to 100m. 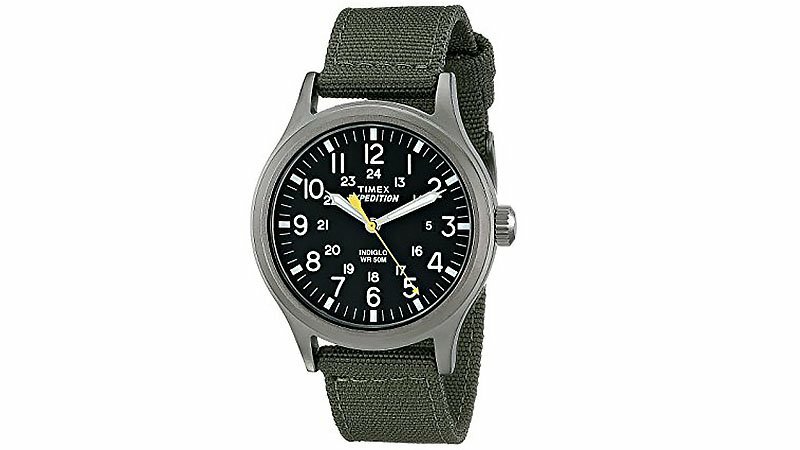 The Marathon Mechanical Military Field Watch is a true all-purpose watch that will be your reliable companion for years. A nylon sage green band and black dial come together with a clasp buckle to create this classic, military-inspired timepiece. Features include a dual winding movement and resin case made from high-impact fibre shell, which does not sacrifice quality or durability while keeping weight light. Tritium tubes glow on their own with no need to be charged by an external light source, making it an ideal design for nighttime or low light operation. The crystal lens is made from sapphire promising the highest possible scratch resistance, legibility, and toughness. 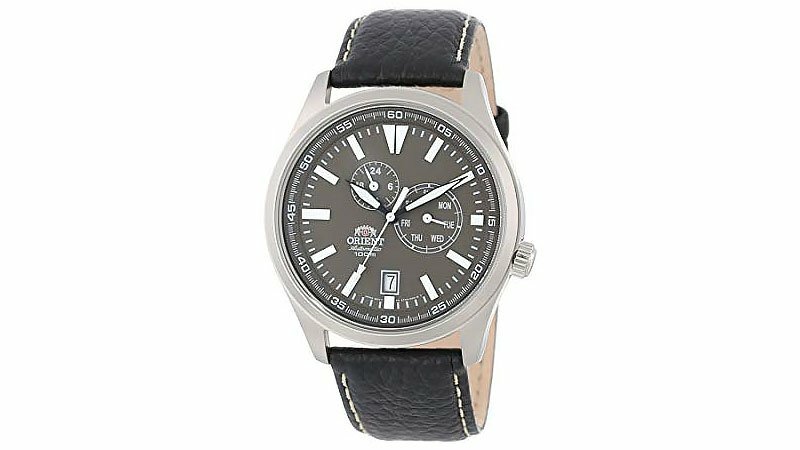 The useful and practical Orient Defender Field Watch is the refined timepiece that’s been missing from your collection. Features include in-house Japanese automatic movement, day, date and 24-hour functionality and water resistance to 100m. The pebbled-leather strap sports a smooth, matte case finish and comes in a range of different colours. The watch also features a mineral crystal dial window, buckle clasp and stainless steel 42mm case. 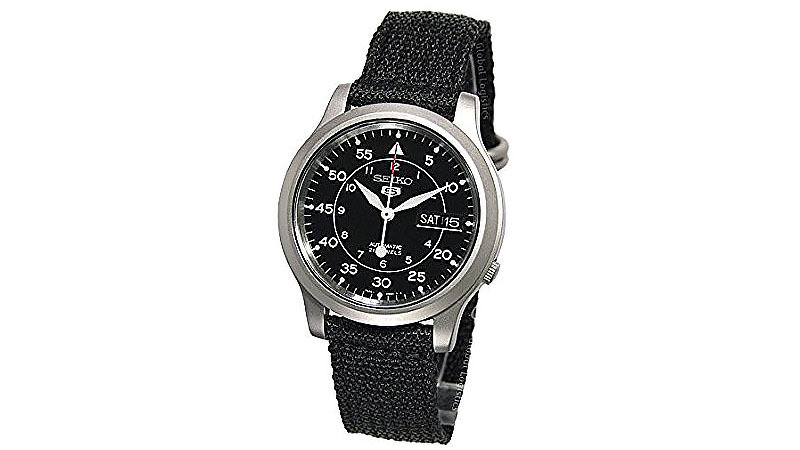 The Seiko Stainless Steel Field Watch is a timeless classic perfect for everyday wear. It features a black dial with luminous hands, a green nylon band with buckle closure and Arabic numeral indices. The Hardlex dial window and stainless steel case promise high levels of durability. As well as analogue display, the watch harnesses a Quartz movement. 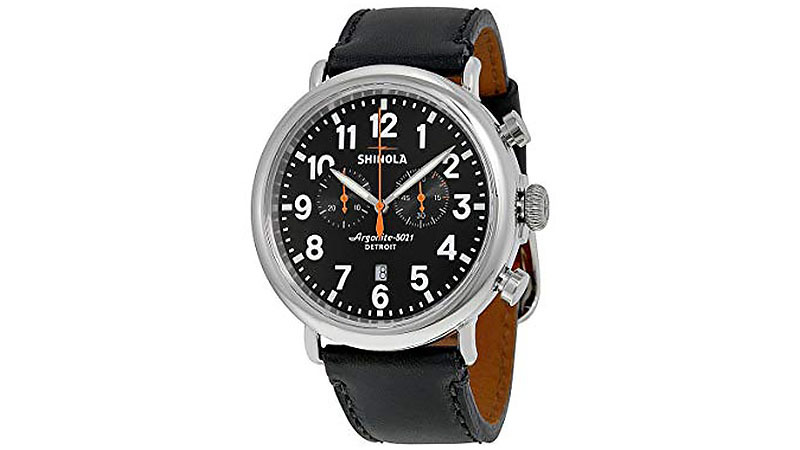 Defined by true craftsmanship and excellence, the Shinola Detroit Runwell Chrono Field Watch is the ultimate companion for the modern man. A polished stainless steel case is paired with an adjustable black aniline latigo leather strap, black dial face and traditional buckle closure for a classic, easy-to-style look. Finally, its super LumiNova three-hand analogue display with high-accuracy Quartz movement and chronograph functionality ensure quality and precision.